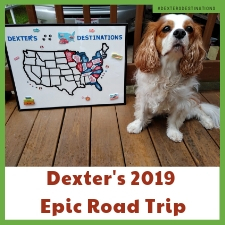 As you may recall, Dexter is an almost 10-year old Cavalier King Charles Spaniel with Chiari Malformation and Syringomyelia. His disease affects his mobility and balance. 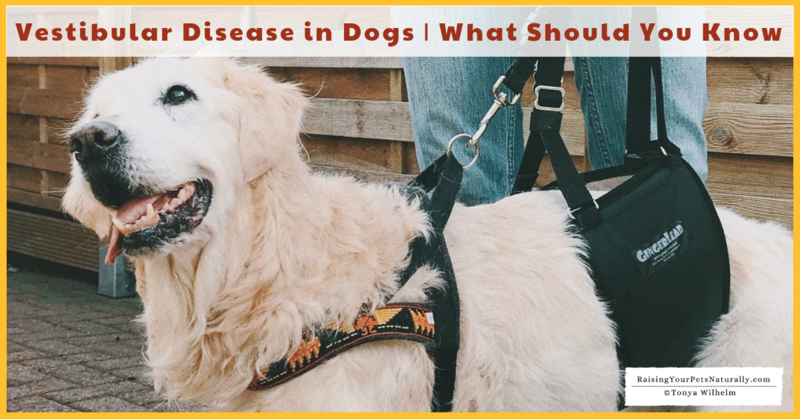 Researching his condition and symptoms also led me down the path to learning more about canine idiopathic vestibular disease, sometimes called “old dog disease.” I spoke with one of Dexter’s holistic veterinarians, Dr. Mary L. Cardeccia. Dr. Cardeccia focuses on animal rehabilitation and natural healing methods including acupuncture, food therapy, chiropractic, Reiki, and herbology. What is Vestibular Disease in Dogs? This can be very scary for both the dog parent and the dog. It’s important to not panic and to try not to stress out your dog during an episode. If your dog is experiencing any of these symptoms for the first time, speak calmly to him and ensure his safety by preventing a slip, fall, or head injury. 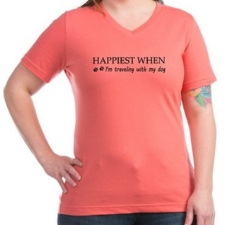 I would suggest getting into your dog’s vet office right away, or the emergency clinic. Although vestibular disease is not life-threatening, your dog may be having a stroke. After your dog’s diagnosis, what can you do to treat vestibular disease and help make your dog’s life as enjoyable as possible? Dr. Cardeccia has been treating Dexter’s Chiari Malformation since 2012, and he has had great improvement over the years. I was really looking forward to hearing what she had to say about treating dogs with vestibular disease. If your dog has vestibular disease or any other mobility issue that makes it hard for your dog to get up, down, or walk, GingerLead Dog Support and Rehabilitation Harness is a great option. GingerLead is a padded support sling and a great aid for older dogs with vestibular disease that struggle with their balance and mobility. Using it provides your dog with much needed support and stability while cradling their belly in comfort, making it significantly easier for them to walk and increasing confidence by keeping them from falling down. 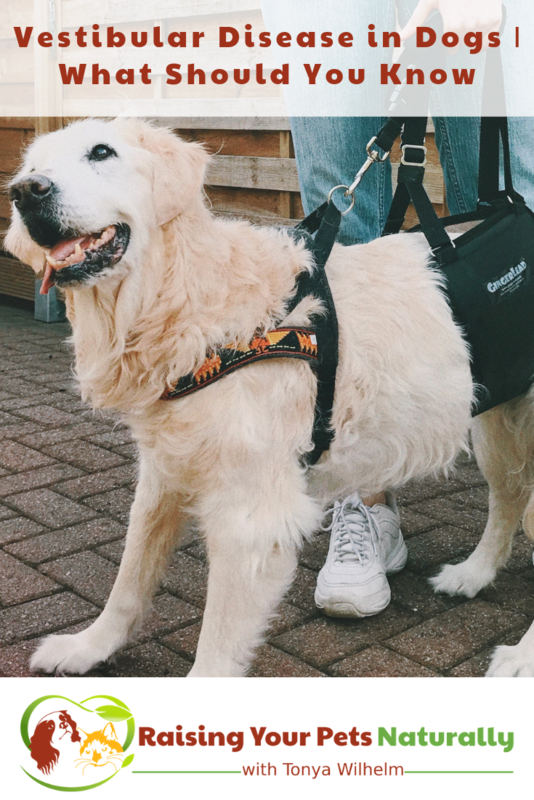 With vestibular disease, attach the GingerLead’s leash to a chest harness to provide additional support of their front end. Dexter and I reviewed GingerLead in 2017, and I still stand behind the product. Dexter hasn’t had to use it yet, but I have it when the time comes. Unfortunately, with his neurological condition, that time will likely come. Knowing we have the GingerLead brings me peace of mind. I’m always a why kind of gal. I want to know why something happens so that I can hopefully prevent it from happening in the future. Is vestibular disease preventable? Are there things that a dog parent might accidentally be doing to increase a dog’s chance of getting vestibular disease? Already, from her response, I know there are a few things that a dog owner can do to help decrease the chance of their dog getting peripheral vestibular disease. If a dog is on a healthy, fresh-food diet, they are more likely to have clean ears and not need their ears cleaned. If a dog does need an ear cleaning, be gentle and don’t go down to the eardrum. Second, watch those drugs and chemicals you are giving or putting on your dog. Try to stay as natural as you can and use medications sparingly when possible. Of course, I had to look up the Cavalier King Charles Spaniel, since that is Dexter’s breed. Obviously, any breed can have vestibular disease, and the Cavalier is prone to a few other diseases that may present similarly to vestibular disease. Primary secretory otitis media (PSOM), cerebellar infarcts, or strokes and, of course, Chiari Malformation and Syringomyelia are three other diseases that may look like vestibular disease. This is why, a good veterinarian team is crucial. If your dog develops vestibular disease or any other condition, try not to let his diagnosis get you down. It’s important to LIVE each day to the fullest and look for ways to help your dog have a good quality of life. 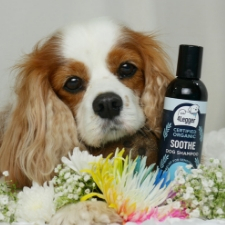 Luckily, there are a lot of natural treatments, physical therapy options, and products such as the GingerLead that can greatly improve your dog’s quality of life. Be your dog’s voice and find answers; he deserves it. 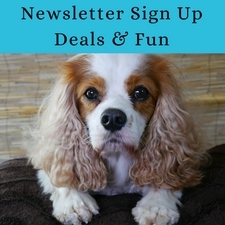 Do you have a senior or special needs pet? Tell me in the comments. Thank, you! I really appreciate that, Raluca. This is such a great post. It has so much information! I have a friend whose German Shephard came down with vestibular disease, and it was hard on him. I didn’t know this disorder that some dogs may have, the important thing is to love them anyway. Agree. And to be able to provide them with a high-quality way of life. Such an informative read! I always get so sad when dogs are visibly in poor health and I think it is so important to fully understand what is happening and why it’s happening when it comes to pet health! Thank you for sharing! This is very useful information for every dog owner. It’s important to pay attention to your pet and take him to the vet if you notice that something is not right. This is some valuable information for dog owners. I feel like I learned a lot from reading your post! Thank you! I try to interview great people. I adopted a 10-year-old dog several years ago. From the moment we got him, he was very slow and never had a ton of energy. The vet always said he was fine, but we always felt he maybe had an underlying issue. When we moved to Colorado, I don’t know if it was the change in altitude, but he deteriorated very quickly. Some of the symptoms of this disease sound very familiar. Unfortunately, we will never know what was wrong with him. We still have our other dog, and we try our best to feed him well and get plenty of exercise. 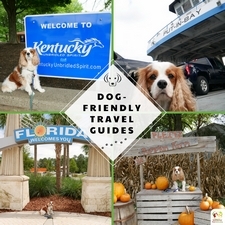 This is really great info for dog owners. Thank you, Emmy for your post. I am so sorry to hear about your other boy. <3 Hugs. This is very useful information. I didn’t know much about vestibular disease at all. Thank you. So glad to share this important topic. Thanks for this informative post. We have been wanting to get a dog for a while now and this info is important. Thank, you! Good luck with your new dog. It’s such a fun adventure. Very informative piece. When I was a kid I remember having old dogs who had similar symptoms like this. I never knew until today. I now owned a healthy loving doxie and will forever keep this advice in mind. Taking down notes for sure! Thanks, Joyce. Oh, doxie love. You might want a GinderLead on hand for those possible back issues. I never heard of this Vestibular disease in dogs until I read this. Thank you for sharing such an information. Glad there was support made for them. Thank you. 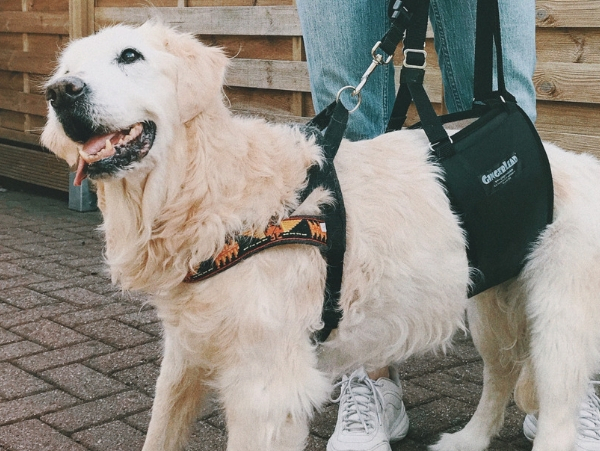 The GingerLead Support Harness is such a great way to help these dogs and other dogs with mobility issues. I love what they are doing for the dog community. Such an informative post about this disease. My friend does have a dog with vestibular and I can see in their eyes how hard it is. <3 Thank you. I hope your friend finds this post helpful. Hugs to your friend. Very informative. My neighbor’s old dog had this and it was so difficult to handle though there are ways to help. Thanks for sharing! Thank you. Glad to share. Thanks, Amanda. Cats also can get vestibular disease. Hugs to your kitty. i never heard of old dog disease. It actually breaks my heart to read this. <3 We all get old and our bodies do start to deteriorate. Luckily, there are things we can do, products we can us for ourselves and our pets to make the process easier. Thanks for sharing your tips on ways to treat vestibular disease in dogs. Indeed it will be super useful for the pet owners. Thank you for sharing that information and for letting us know what is a vestibular disease. Dogs are like human too. We should love them and treat them like a part of the family. Sure thing. I totally agree. They deserve the best.